I don’t think party favors are required for kids’ parties, but I like to send our guests home with a little something to say thank you for coming. Usually the favors are something small and homemade, like these favors from my daughter’s Frozen birthday party. I bought the treat boxes on clearance from Target, but I have found similar boxes at Dollar Tree too. 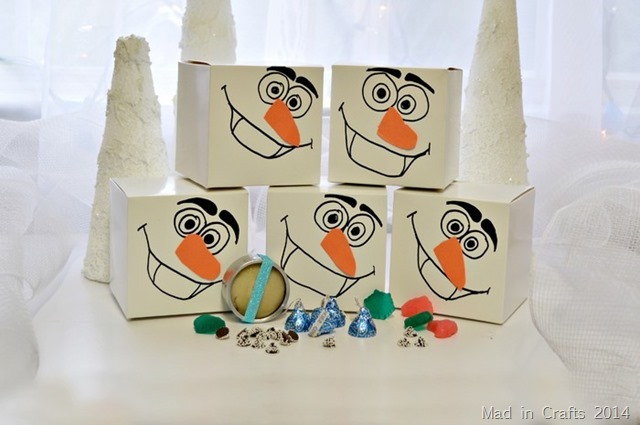 I drew Olaf’s face onto the front of the boxes with a permanent marker, using an online picture of Olaf as a reference. I cut construction paper noses out and glued them to the box as well. 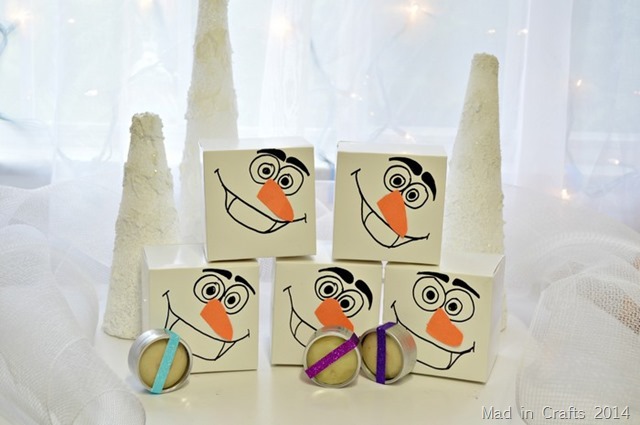 Each favor box contained a small tin of glittery homemade play dough. The dough was really white in real life, even though it looks yellow in all these pictures. 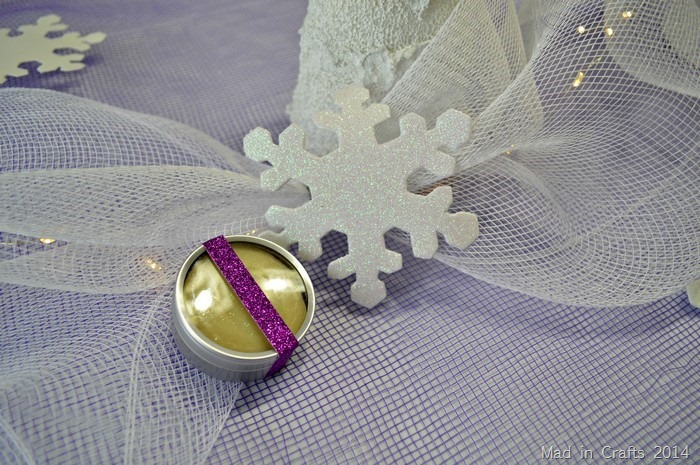 I sealed the tins up with a piece of glitter tape in one of the party colors. I finished up the favor boxes with some sweet treats as well: light blue cookies and crème Hershey’s kisses, Snowcaps candies, and some Frozen jelly candy. 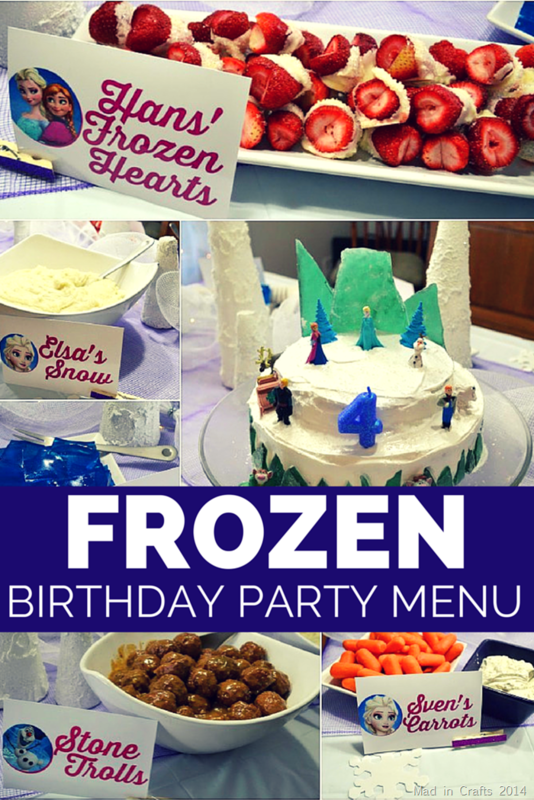 This is the last of my Frozen party posts. 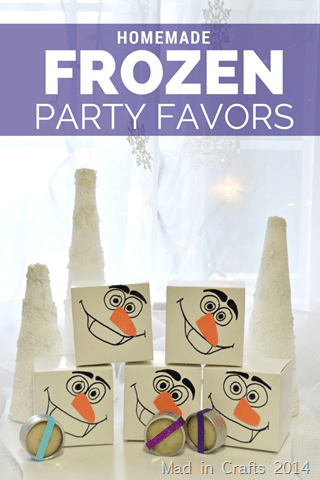 Make sure you also check out our inexpensive Frozen party decorations, the layered Frozen party table, and the complete party menu! 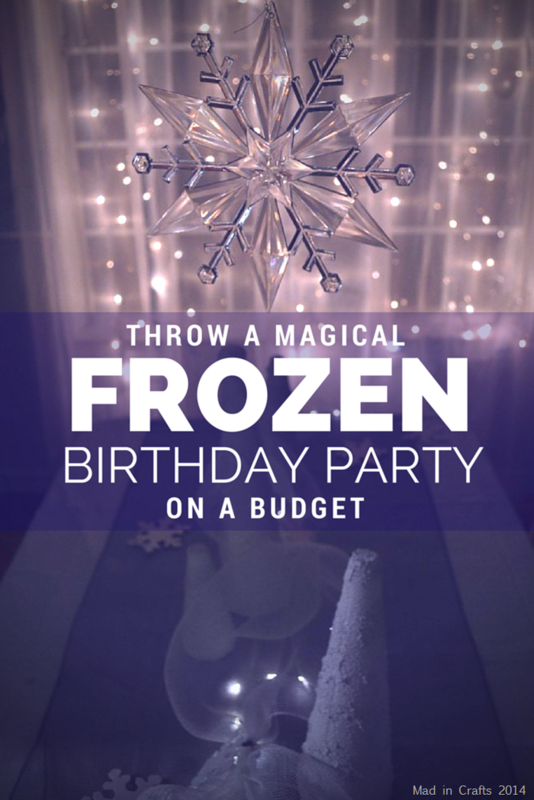 If you would like to purchase any of the materials I used for this project, I have gathered together links below. These are affiliate links, so if you make a purchase after visiting one of the links I will receive a small commission. Thanks!